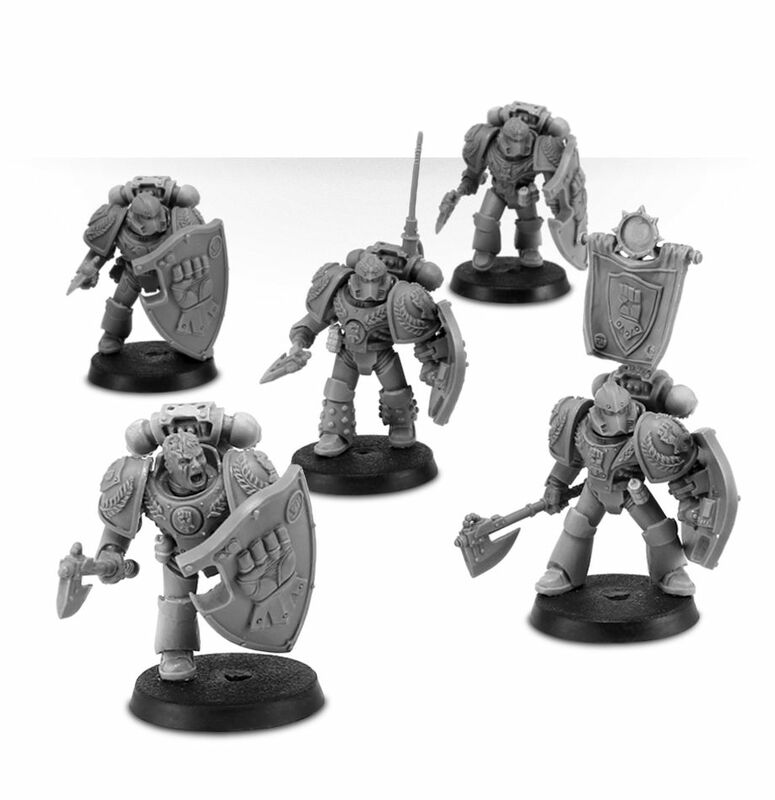 This multi-part resin kit contains the components necessary to assemble Rogal Dorn. 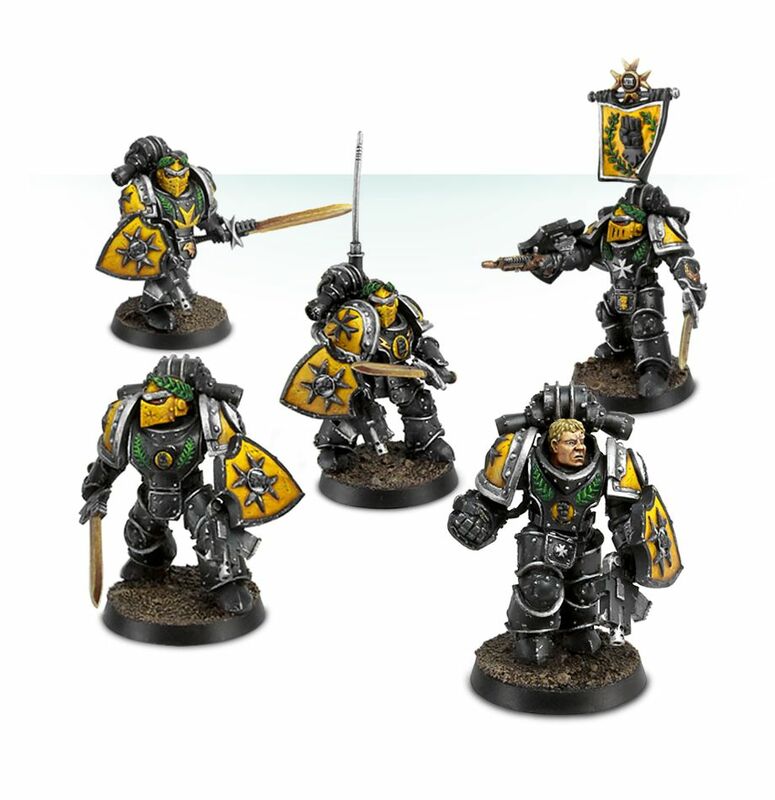 This is a model of exceptional detail, befitting Dorn’s status – his auric armour is absolutely covered in beautiful sculpted details which add texture, from the large Imperial eagles, to the Imperial Fists crests, to the filigree and jewels. 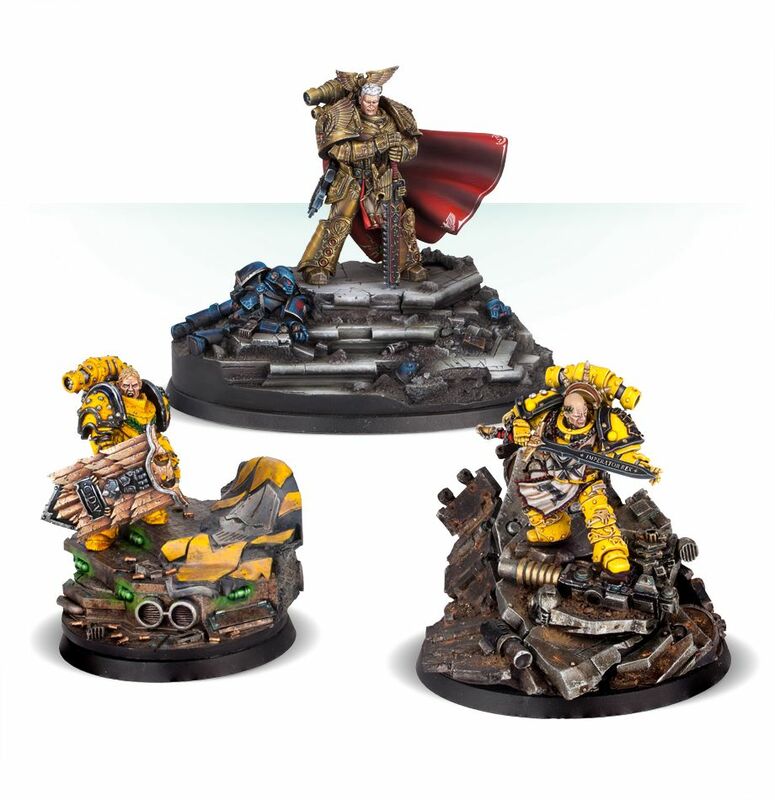 Rogal Dorn is supplied as 24 parts, and comes with 2 bases – the first is a 40mm gaming base, which slots snugly into a 105x70mm oval diorama base. The diorama base features a series of concrete steps, with the body of a deceased Space Marine (and parts of another) lying at Dorn’s feet. This 285-page hardcover book details the aftermath of the Isstvan V Dropsite Massacre, and two other major battles fought between the Loyalist and Traitor Legions as the Horus Heresy swept out from the Isstvan system and into the wider Imperium of Mankind: the Battle of Phall and the Invasion of Paramar. 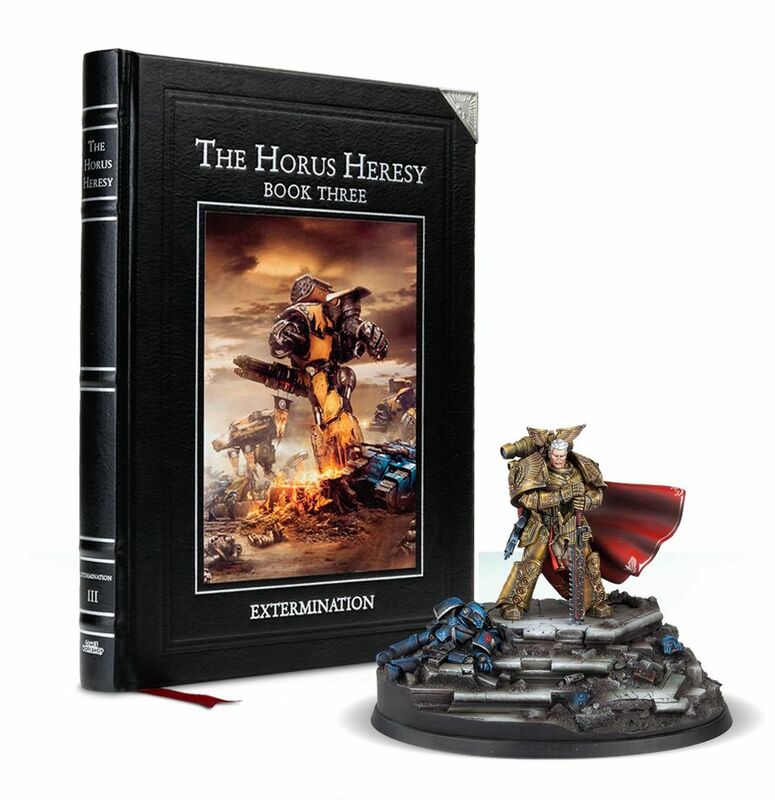 Also featured are the background and game rules for the four Legions covered in this book: the Alpha Legion, Imperial Fists, Raven Guard and Iron Warriors, and a Mechanicum army list, plus campaigns and vehicles.